Short Information: Union Public Service Commission, UPSC Are Recently Uploaded Final Result, Marks For the Post Of Engineering Service Examination 2016 (Advt No.01/2017). Those Candidates are Registered to the Following Vacancy and Can Read the Full Exam Notice and Final Result are Now Available for Download. Candidates Passed/ Appearing Degree in Engineering From Recognized Board/ Universityy in India. 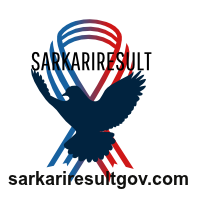 Registered Candidates Can Download Final Result,Marks now.